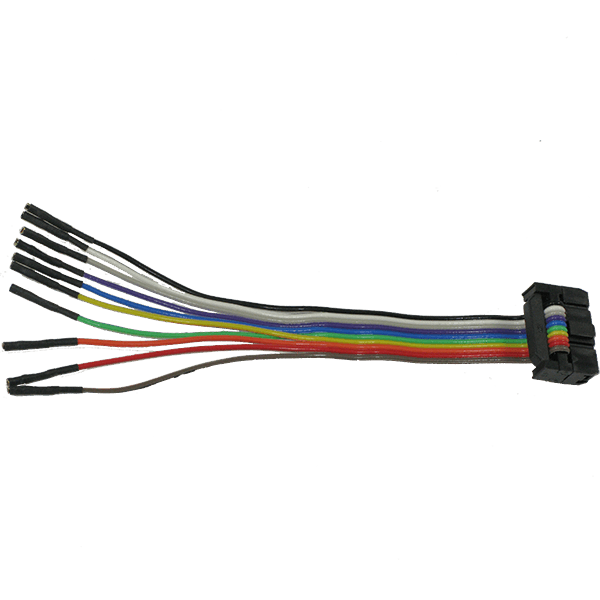 The 10-Pin Split Cable has a 14-pin header (only 10 of them are used for the ISP Split Cable) which can be connected to the SF100 ISP header directly. 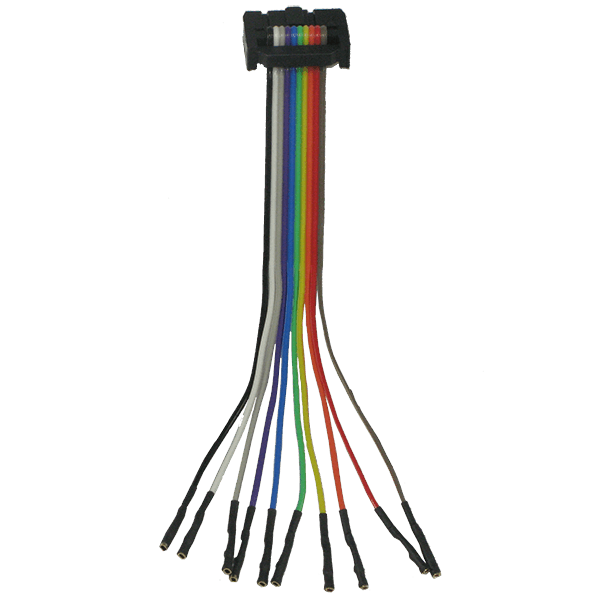 Each individual split cable has a different color and is labeled with the pin name so that they are easy to identify. 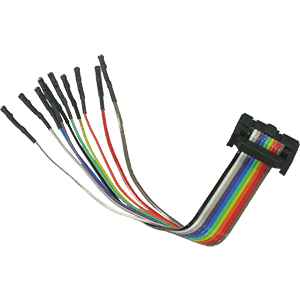 Each individual lead is terminated with a single pin crimp connector with the same 0.100" (2.54mm) pitch. The cable is only 12cm long to minimize signal degradation.